The UEBOT project was developed to meet the unique need of retraining a nation of professionals that instruct and produce braille. The five year transition period puts a tight timeframe on the more than 7,000 individuals that require updated skills. The course is being developed as a Massively Open Online Course (MOOC) to address the individual's and geographic diversity represented by our committed field. Development is being completed following Universal Design philosophies to ensure all participants have access to the content. Each month the course will be reviewed and throughout the four years of delivery a continuous process of refinement and troubleshooting will guide the development of protocols for online teaching for the field of visual impairments. Stacy Kelly is the UEBOT Project Director. She is a faculty member in the Visual Disabilities Program within the Department of Special and Early Education (SEED) at Northern Illinois University (NIU). Kelly's experience as both a braille and assistive technology instructor at the university ensures sound content understanding. Kelly has been involved in research pertaining to assistive technology and has a strong interest in braille literacy instruction. Sean Tikkun is a doctoral student in Educational Psychology focusing on Visual Impairments. He has masters degrees in Special Education Visual Impairments and Educational Media Design. A major focus on the project is bridging the gap between e-learning and braille instruction with specific attention to assistive technology. Tikkun is an Apple Distinguished Educator and Intel Essential Master Teacher, and has presented and trained in areas of assistive technology for over a decade. 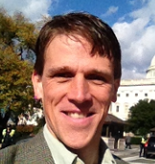 Thomas Smith is the UEBOT expert in assessment and evaluation. 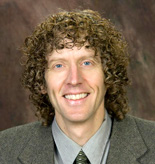 Smith is an associate professor in the Department of Educational Technology, Research and Assessment (ETRA) at Northern Illinois University (NIU). Smith has published extensively in the areas of quantitative methodology and large-scale data analysis. He regularly teaches graduate-level courses in introductory and advanced statistics, delivered in both face-to-face and online format. 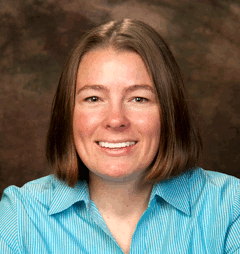 Diane Alberts is the UEBOT instructional designer. Alberts is a Senior Instructional Systems Developer for NIU's eLearning Services. She works not only with NIU faculty but also businesses in northern Illinois to develop online courses and interactive learning experiences. Her expertise include instructional materials development, online course development, audio capture/editing and the Blackboard learning management system. Eamon Newman was the UEBOT site developer. Newman worked for the NIU Digital Convergence Lab (DCL) where he specialized in web and game development. He also taught courses on games and learning at NIU. Rosarin Adulseranee is the UEBOT lead programmer. Adulseranee is a programmer and also an instructional designer for NIU's eLearning Services and the Digital Convergence Lab. Rosarin's expertise include Python, iOS development, Actionscripts, PHP, and MySQL. Michael Taylor is the UEBOT Moodle Administrator and also eLearning Services' media specialist. He does audio recording and editing for instructional projects. His other responsibilities include research, development, and maintenance of communication, knowledge sharing, and collaborative tools for learning. Projects of interest are Adobe Connect, Second Life, Elgg social networks, Drupal, and Moodle.